Ah, the strawberry. The fruit that we all love, young and old! Strawberries are sweet and juicy when they are picked right from the plant. Everybody loves this fruit. Each spring, they’re actually the first of many fruits to ripen. Thankfully so since there are a lot of things we can do with strawberries. You can make strawberry juice out of it or a shake. Most children will always ask for strawberry flavored ice cream or cake. And, as a bonus, they are even one of the easiest fruits to grow. So how difficult is it really to grow strawberries in containers? Their name can be a little misleading. Strawberries aren’t berries; they are actually a fruit. Also, as with many fruits, there is a sweet spot between not yet ripened and overripe. Thankfully, growing strawberries in containers are generally not the hardest thing in the world to accomplish. Plus, growing your own is incredibly rewarding! I can still even remember the time I tasted my homegrown piece of strawberry. I radiated with excitement and happiness upon the first sip of its taste. From then on, I knew I had to grow more and reach that palate-nirvana once again! Let’s explore how shall we? Water your plant every day, particularly on a dry season because when the soil is dry the fruit will start to wilt and we want to avoid this especially when the fruit is starting to form. But do not overwater them by watering more than once or twice a day. Even today in 2018, this basic gardening mistake is still prevalent. Take note that the soil in a container will dry more quickly than the soil on the ground. Therefore watering strawberries daily is a necessary task to achieve beautiful, red, and juicy strawberry fruit. Growing strawberries in containers is a wonderful idea once you’ve pinned down the optimal kind of containers to use for this endeavor. There are many ideal containers for planting strawberries. 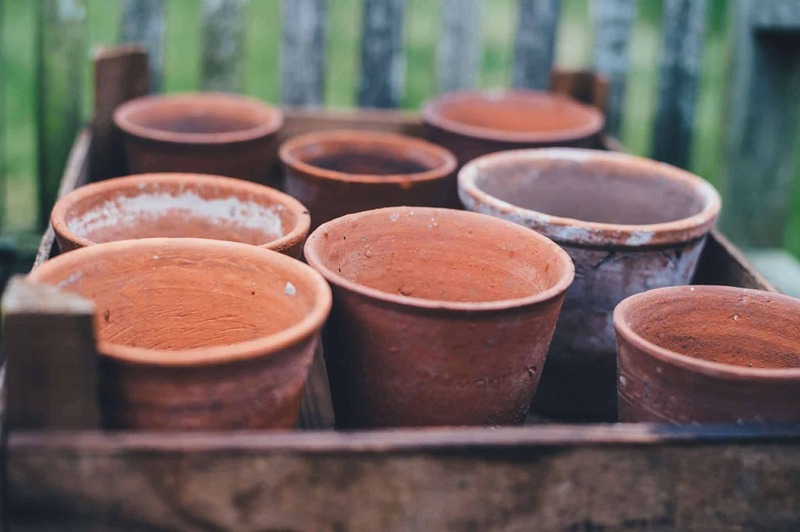 It can be the regular clay pot, preferably in a light color to keep the roots cooler, window boxes, plant hangers or planters made solely for strawberries. You may even use the ubiquitous terracotta pot. A vital keynote to remember here is that the container must have enough drainage holes for water to flow at the bottom. If you’ve been tending to plants and gardens for a while now, this shouldn’t be anything new to you. The containers should also be durable so that they can resist the harmful impacts of the heat of the sun, intense rain, or gusts of wind. If you have limited space, growing strawberries in containers is a fantastic technique to get around that problem. Moreover, it will be easy for you to transfer them from one place to another; especially if you need to place them under the sun. It will also minimize unwanted pest visitations and other bacterial diseases since they are not on the ground. Birds, insects or any crawling creatures are attracted to strawberries. If it is necessary, it is best to place nets all over the fruits to protect them, but this is mostly for when the problem gets substantial. Sunlight is essential in growing strawberries. They need to have direct sunlight every day for about 6 to 8 hrs. Placing them near your window or at your garden where there is sunlight would be a fantastic option. This way, they will be able to get enough sunshine. To have a healthy strawberry, remove the first flower that you see. Pull them off or use garden shear to cut them out. If you’re ever at a point where you’re not sure of the many different types of soil and which is most appropriate to use, it’s best you begin your journey there. Just like any other plant, the soil, which should be loose and moist, is significant in planting strawberries. This is to hold the water and prevent overwatering. This will help promote the growth of strawberries. 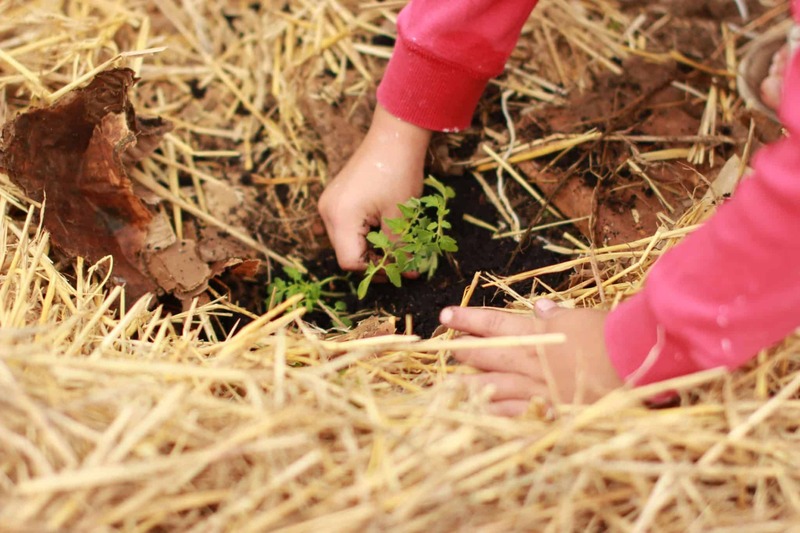 It is recommended that you check the soil on a weekly basis and when you feel that the soil is dry, you will then know that it is time to water them. As a gardener myself, I tend to have moments wherein I would forget when I last watered the plants. This isn’t too big of a deal since we can just check the soil. However, a technique I employ to combat this problem is by marking a nearby calendar of the days I watered which plant. Thus, since I need to check weekly, this will make the task a breeze to go through. Also, if the soil is still moist after a week, consider revisiting it after a day or two. Plant strawberries from bare-root crowns or you may plant from seedlings. Plant them 2 feet apart from each other to avoid overcrowding. This method allows each to grow comfortably. Remember that the crown should be above the soil surface to enable the sun to reach it and will allow it to sprout. Soon, you will see these beautiful, succulent fruits show up! From flowering until the time to harvest, lay fertilizers on them once every three to four weeks. Preferably, a fertilizer high in phosphorus in order to have good and healthy fruits. Don’t forget to water them after planting. Check your fruit from time to time; when the fruit has turned to that majestic full red, then it is time to harvest. 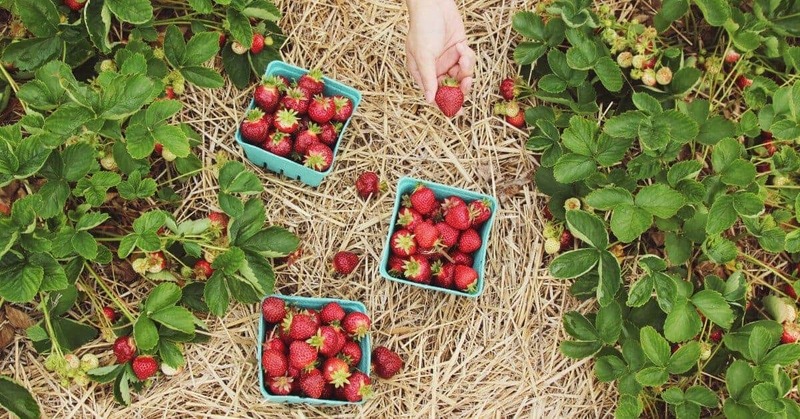 It is best to pick your strawberries during a dry season. When they are ripe, harvest them right away to avoid the fruit to rot on the plant. It’d be a massive waste of effort if they are not harvested and consumed in time. Thus, we implore that you have a timeline with you and that you stick to it. Mark it down on your calendar or have an alarm about it. Once you’ve brushed up your knowledge on the know-how and basic things you need to know about growing strawberries in containers, get excited for the results! If you watered them properly, gave them the right type of soil, and had just enough sun, they should be the best tasting ones you can expect from a strawberry! The fruit of your labor, delicious red strawberries come with great satisfaction and are worth the wait. Happy gardening! 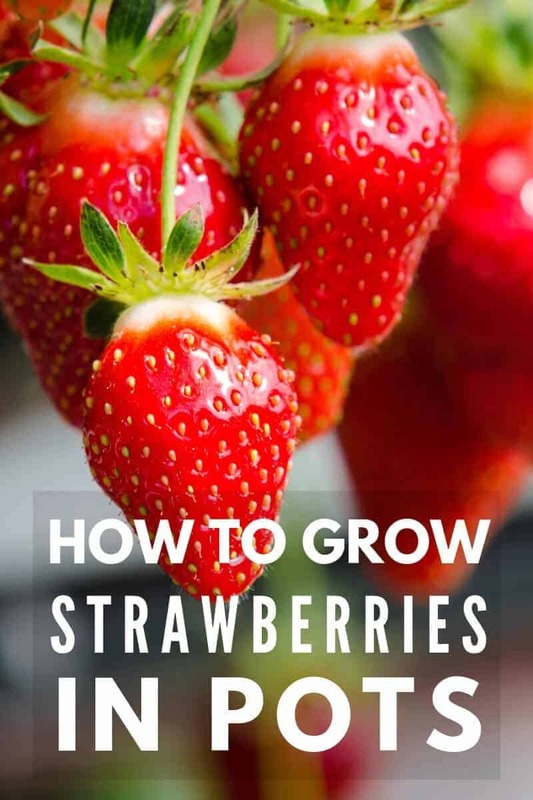 Did you enjoy this guide on growing lots of delicious strawberries? Save THIS PIN below to your Gardening board on Pinterest so you can refer back to it!